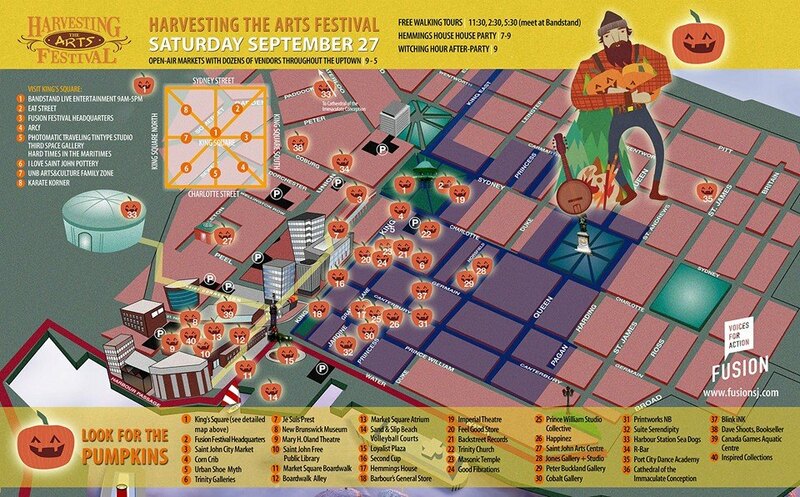 I look forward to this weekend every year – Harvesting the Arts is this Saturday at various locations all over Uptown Saint John. I’m so pleased to be able to offer a walking tour to all of my favourite local shops as part of Harvesting the Arts. Join me this Saturday at 2:30pm at the King’s Square Bandstand. I’ll take you on a 1 hour walking tour from King’s Square to Market Square (and 8 places in between) to tell you about my favourite shops, my “best find” and some steals you may not know about. I’ll give you a handy walking map to tell you about the special one-day-only deals available only on the walking tour from stores like Je Suis Prest, Machester Shoes and the Urban Shoe Myth. AND – If you are one of the first 10 people to sign up for the tour in advance, I’ll hand you an envelope with GIFT CERTIFICATES from Brunswick Square and Market Square to spend on whatever you want.